Great location and the balcony faces to the major square. 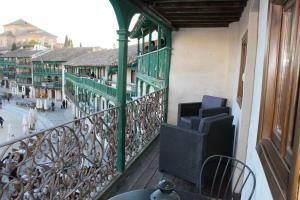 We arrived on the festivals of Chinchon, and we could view the shows on the balcony. Splendid location, very well prepared (small bottle of fizzy wine waiting) very clean. Quirky accommodation, but well worth using despite reservations. We will certainly go again if passing through Chinchon. The room was very clean and spacious, and had a lot of little touches like the table was laid very nicely and included a small bottle of cava and a chocolate each. 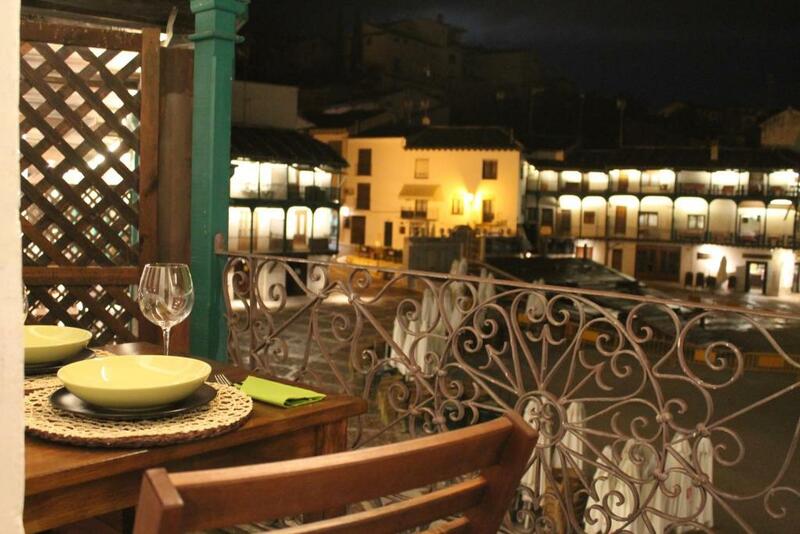 It had a lovely balcony overlooking the Plaza Mayor with a comfortable small settee and a table and chairs. The kitchen had all you need including a washing machine, coffee machine and microwave. There was air conditioning and even a fire, and a very pleasant seating area. Location. The balcony overlooking the square. The readiness of room and the accessibility to keys. The nice lay out of dining table, with complementary little champagne bottle. Toaster and juicer. The tub. The location is excellent. Just sit on the balcony and soak up the atmosphere. 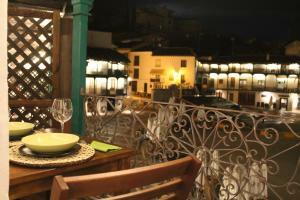 The apartment was ideally located with a balcony including, table, chairs and couch, overlooking the Plaza Mayor. The bed was very comfy. A bus service runs regularly every hour or so to and from Madrid. It is easy to spend a day exploring the village. If you need a hair cut and/or colour visit Felipe Martín Romanillos at Faith, Calle de los Carpinteros, 13.
location fantastic and bed really comfortable. Have been before and there was no kettle but now an espresso machine which was great. We would have liked a few more coffee pods as we don`t drink tea. We will visit again. Ubicación inmejorable, sobre la plaza. La habitación y la cama, perfectas. Equipada con cocina, heladera y todo lo que se necesita. 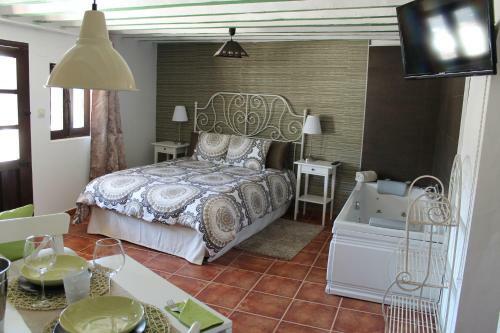 Lock in a great price for Los Balcones de Galaz – rated 8.7 by recent guests! Los Balcones de Galaz is set in a restored 15th-century building in the arcades overlooking Chinchón's Plaza Mayor Square. 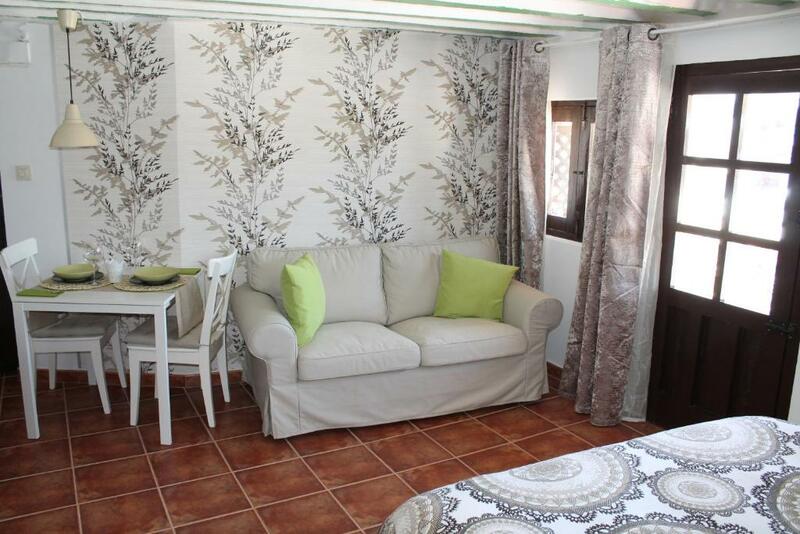 It has a large balcony with great views across this beautiful historic square. The air-conditioned apartment has terra cotta floors and modern décor. It has a double bedroom and a lounge with a TV. 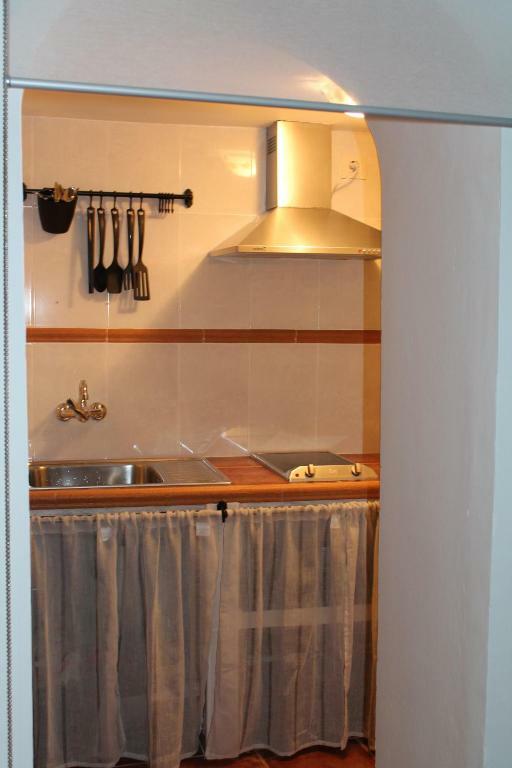 The kitchenette includes a hob, oven and microwave. The bathroom includes a hairdryer. The balcony has a dining table and chairs, and it is a great place to enjoy breakfast overlooking the square. There are various restaurants and bars in the surrounding streets. Chinchón's Castle is 1,650 feet from the apartment. Aranjuez's amazing gardens are a 25-minute drive away, and you can drive to central Madrid in around 45 minutes. 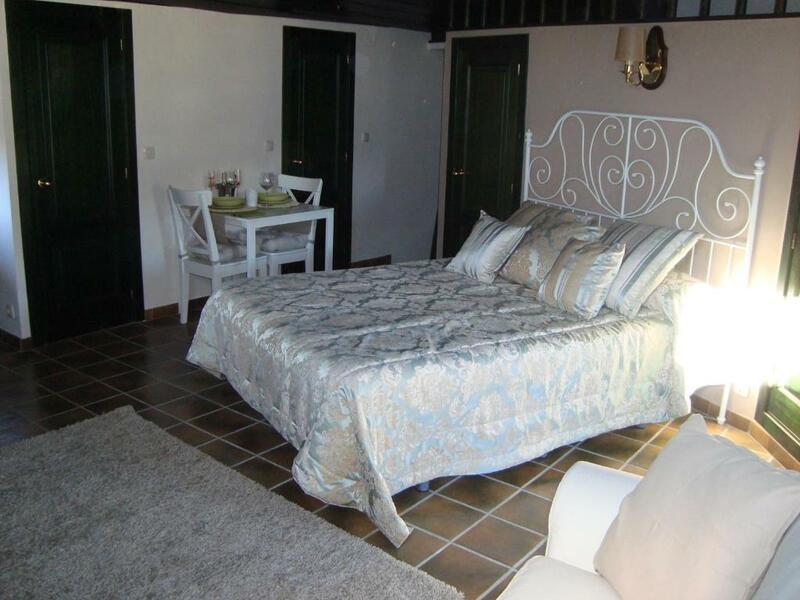 When would you like to stay at Los Balcones de Galaz? This air-conditioned apartment has terra cotta floors and modern décor. 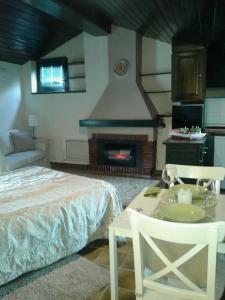 It has a double bedroom and a lounge with a TV. 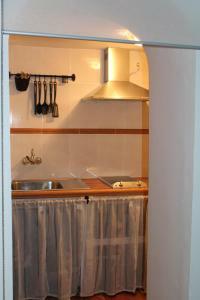 The kitchenette includes a hob, oven and microwave. The bathroom includes a hairdryer. 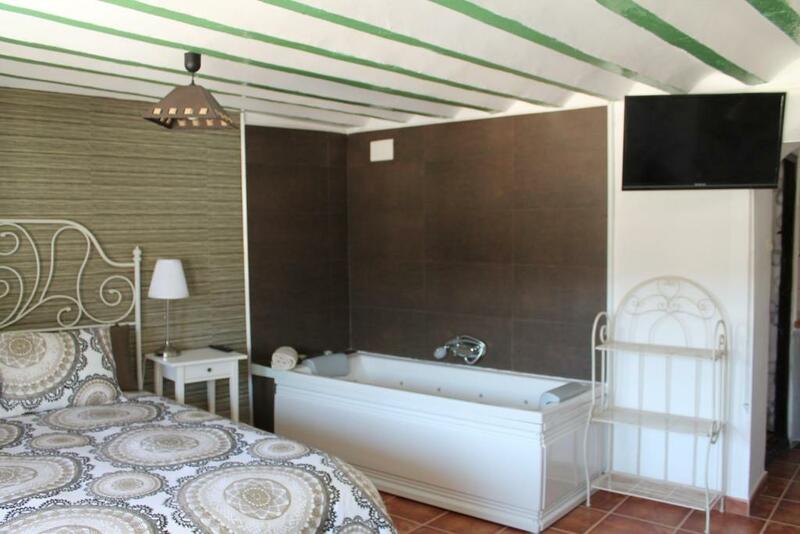 The apartment is set in a restored 15th-century building in the arcades overlooking Chinchón's Plaza Mayor Square. 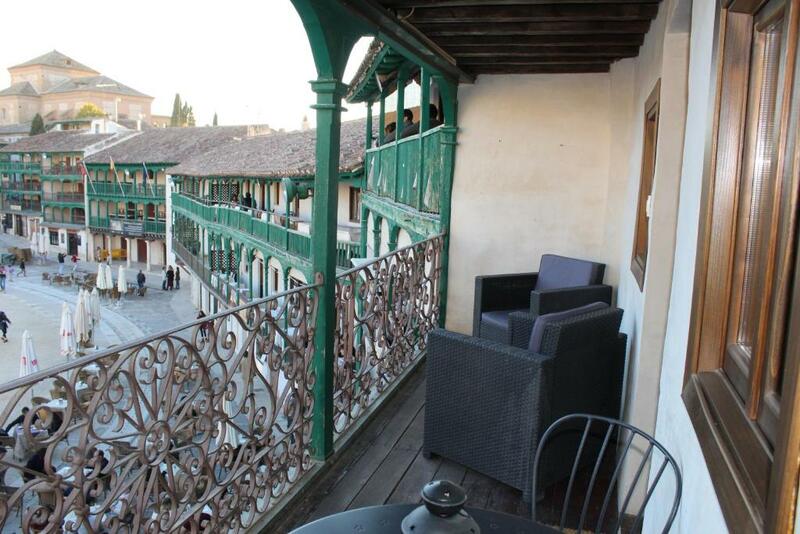 It has a large balcony with great views across this beautiful historic square. This apartment has a toaster, balcony and air conditioning. This superior apartment has a balcony. Alojarse en Los Balcones de Galaz, en plena plaza mayor, supone alojarse en es una plaza clásica de la Edad Media. Las primeras casas con soportales y balcones se construyeron en el siglo XV, y quedó totalmente cerrada en el siglo XVII. Mi experiencia profesional siempre ha estado ligada a hoteles de alta categoría. A la vez me encanta viajar y disfruto de cada lugar en el que decido alojarme. Por eso, como profesional y como cliente, siempre soñé tener mi propio alojamiento. House Rules Los Balcones de Galaz takes special requests – add in the next step! Please inform Los Balcones de Galaz of your expected arrival time in advance. You can use the Special Requests box when booking, or contact the property directly using the contact details in your confirmation. The whole place smells to a mix of cigarettes and old. Plus, the approximately 100 years old air conditioner blows smelly air, too. On the phone the owner pretended it's just something new from the previous guests, saying it's impossible to control (ever heard of smoke detector?). The towels were damp and had a horrible smell of it as well. On arrival the heating was not on, considering that night it was 0 degrees C. Took as over an hour to take jackets off. The owner again blamed third parties, in this case the cleaner that forgot to turn it on. No support for shower head. To get to wash my long hair was quite an adventure. Bedsheets, can't say for sure, if it's just the bed was done ages ago and therefore absorbed all the dampness and stinkiness of the place or "the cleaner forgot to change" as well. There's a fireplace on the photos and in the description. Turns out, it's a real fireplace structure but a fake electric one is inserted into it, which description never mentions somehow. When picking the room with fireplace pics and bathtub in the room on it,- don't buy into it. Those are pictures from different rooms. Also have a look on the reviews of this place on the web, they're not as pretty as here, which I discovered too late. Overall, it's that feeling when you try to touch as little as possible and count hours until your stay is over and can't wait to wash your clothes. One of my worst experiences with Booking.com! There were some flies in the room, but that’s what happens when you open windows! The towels. The small shower. The annoying flies that were already inside room and impossible to get rid of. You can't park the car near the property but that is what we expected. There was a small dining table laid out, (which was nice), but there was no oven, so making any sort of meal would have been difficult. The kitchen area was small and not that well equipped as was the bathroom. The shower head was broken and really no toiletries provided. I travel quite often to visit different Spanish towns and generally prefer apartments and although you don't always want the things I've mentioned, you do sort of expect them to be there. I enjoyed my short stay but would have to describe this apartment as basic and I left feeling that I'd paid more than it was worth. The noisey couple next door. The lighting in the kitchen wasn’t very good. The bathroom drain was a bit smelly but it is an old building! Otherwise great for two people. Parking difficult - on street, which makes a foreign car loaded with stuff seem vulnerable. Access to keys slow and complicated. Room not ready when we arrived (despite giving arrival time) and had to wait outside for 30 mins. Access to room along narrow corridors and up steep stairs. Not suitable for anyone with mobility problems or with very heavy bags. We arrived on a very hot day and our sat nav directed us to the Plaza Mayor, but we looked all around and could not find our hotel, so we asked some people sitting at a table for directions, they sent us up small winding streets, but we could not find it. We returned to the plaza and asked the visitor centre to help us, they rang the hotel, but there was no reply. We sat in the the very hot sun for quite a while and eventually got a reply. The hotel was accessed at the rear and had a very small sign on the outside wall. A bit stressful to say the least, but once in the room we were very happy. We would recommend that the hotel put a sign on the facade facing the plaza to avoid the confusion.